The airline WiFi roll-out continues! Next up is Continental installing Gogo service in 21 of its 757-300 planes by the second quarter of 2010. Prices will start at $4.95, but depending on the flight’s length, can cost a bit more. This is clearly the most exciting news of the day. 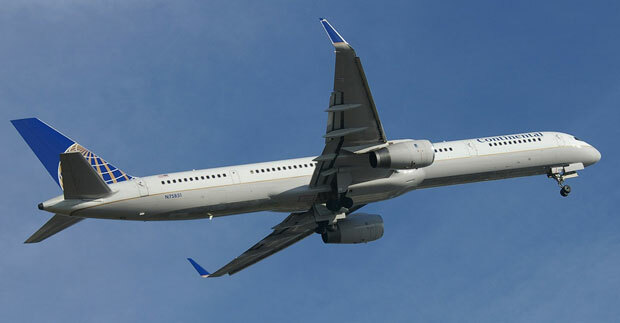 HOUSTON, Dec. 16 — Continental Airlines today announced that, beginning in the second quarter 2010, it will offer Gogo Inflight Internet service on its fleet of 21 Boeing 757-300 aircraft that primarily serve domestic routes. Continental Airlines is the world’s fifth largest airline. Continental, together with Continental Express and Continental Connection, has more than 2,400 daily departures throughout the Americas, Europe and Asia, serving 130 domestic and 132 international destinations. in 169 countries via 24 other member airlines. With more than 41,000 employees, Continental has hubs serving New York, Houston, Cleveland and Guam, and together with its regional partners, carries approximately 63 million passengers per year. For more company information, go to continental.com.